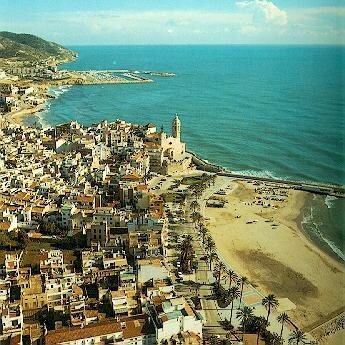 This week I´m spending a few days with friends in Sitges, a summer resort just outside Barcelona. Its a lovely resort, but one thing the trip has confirmed for me is that I´m just not made for sun holidays. I spend much of the time avoiding the Spanish sun, as it is just too severe for Irish skin from the hours of 12 -4. 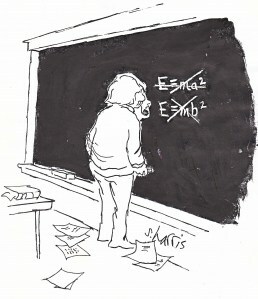 Even out of the sun, the temperature is bothersome – the shortest walk saps huge amounts of energy. That said, the swimming is superb and I´m getting plenty of it. The rest of the time I´m wandering around the town swaddled up in sunhat, shades, silly clothes and shoes – much like a toddler on a skitrip! We took the train in to Barcelona yesterday. What a fantastic city. Absolutely beautiful – quite a bit like Paris in its buildings and splendour, but more relaxed somehow. Again, a lot of walking around in the heat – it nearly killed me, but defnitely worth it. Next time, we´ll take the open-top bus tour, like normal people. Then back to Sitges in the evening. Another aspect of sun culture I don´t get is having huge meals late at night that go on for hours. I just feel tired and unfit. I need something to do – gimme a surf holiday anytime. Ah well, back to Dublin on Wednesday. I hear it´s raining there . Oh heaven. Less sun today, thank God, so we´re just lazing around the resort in between swims. According its wikipedia entry, Sitges is the Spansih equivalent to St Tropez. Hmm. It is beautiful, but very laid back. Not that big a buzz around last night that I could see – no doubt the weekends are crazy.